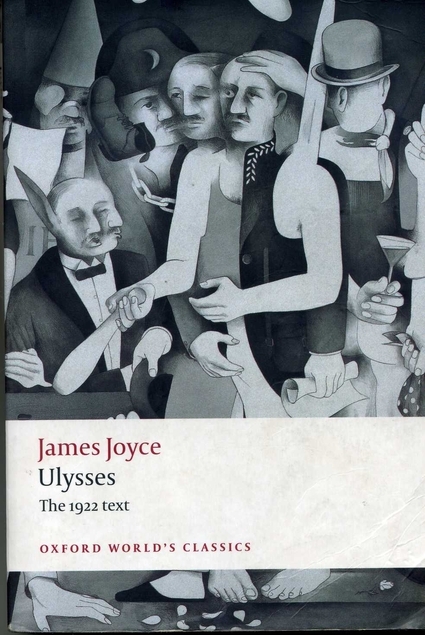 Oxford University Press’s 1990s reprint of the 1922 text of Ulysses, edited, introduced, and supplemented by Jeri Johnson, is a fine edition for anyone interested not only in Joyce’s mighty novel but in its fraught publication history. Appendixes and explanatory notes, ample without being overwhelming, supplement the work to great effect. Johnson’s essay ‘Composition and Publication History’ nicely sketches the debate over authenticity and concludes that the 1922 text, though ‘botched’ and ‘error-ridden’, with over 2000 mistakes, ‘is also the least faulty’. Her introduction zeroes in on a couple of errors (and ‘errors’) to show how intricate the problem was for both Ulysses and the idea of error itself. Leopold Bloom (Ulysses’ protagonist) reads a list, in the newspaper, of attendees to a funeral and sees his name misprinted as L. Boom – the initial L, contrasted with the forenames of others listed, underscoring its absence from the surname. Bloom is ‘nettled not a little’ by this ‘graphic lie’, this ‘bitched type’, but amused by other ‘nonsensical howlers’ in the newspaper’s account, such as its inclusion of Stephen Dedalus, who was not present at the funeral. mistakenly ‘corrected’ the fictive Dublin typesetter’s mis-set ‘L. Boom’, just as they mistakenly deleted the mistakenly reported ‘Stephen Dedalus’. Joyce correctly reinstated these errors in the Errata lists. When earlier in the day, Bloom (this time in the guise, not of L. Boom, but of Henry Flower) reads Martha Clifford’s billet-doux, he encounters more ‘bitched type’: ‘I called you naughty boy because I do not like that other world. … So now you know what I will do to you, you naughty boy, if you do not wrote’. Her substitution of ‘world’ for ‘word’ teases the imagination: we notice, perhaps for the first time, that ‘world’ contains ‘word’ (plus a floating ‘l’ – the one gone missing from ‘Boom’? ), the two being inextricably joined in this book. One of the chief ways world and word are joined, albeit by contrast, is through the novel’s two main characters, Bloom and Dedalus. Dedalus is a self-styled philosopher preoccupied by academic and metaphysical matters; he ‘transforms the material world around him through mental acts of speculation’, Johnson writes. For him, matter is fuel for mind: he seeks to ‘control the unruly material world through the distantiating transformative power of language’. There Stephen’s penchant for metaphor urged narrative transformation of mundane objects into symbols, here Bloom’s solid pragmatic presence seems to cause every attempt at metaphor to founder on mundane physicality: ‘Mr Leopold Bloom ate with relish’ (that ‘relish’ is as much ‘condiment’ as ‘gusto’). Her second mistyping, ‘if you do not wrote’, floats into Bloom’s mind a paragraph later: ‘I wonder did she wrote it’. The odd thing about this mistake is that Joyce the author wrote ‘write’. It was either the typist or the typesetter who ‘wrote’ ‘wrote’. Joyce did not notice it until several proofs of this episode had been pulled and had repeatedly repeated ‘wrote’. When he did notice it, Joyce the writer wrote Bloom’s ‘I wonder did she wrote it’, thus opening wide his authorial arms to embrace the typesetter’s mistake. As Stephen Dedalus says later: ‘A man of genius makes no mistakes. His errors are volitional and are the portals of discovery’. * Errors, it seems, are volitional even when made by someone else. We trust, that is, that despite their erroneous status ‘L. Boom’, ‘world’, and ‘wrote’ communicate meanings that lie outside the scope of narrow rectitude. Ulysses repeatedly reminds us that certitude aligns itself with bigotry, racial hatred, blind nationalism, egotism, violence. … Joyce’s alternative authority is one which recognizes the inevitability of error, exercises a healthy scepticism, and yet happily embraces the new world occasioned by the fall, the lapses. One of the things Ulysses does best is to dissolve boundaries by the dozen: between fact and fiction, ‘high’ and ‘low’ culture, art and criticism, symbol and thing-in-itself. 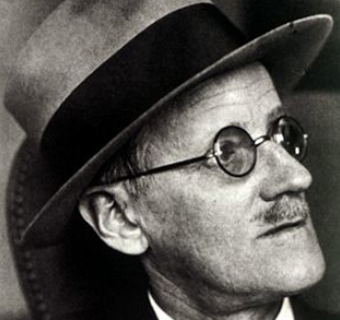 By accepting error as part of a new and deliberate reality, Joyce eagerly, playfully, adds to that list. * In a final edit of this post, I noticed I had typed Her errors are volitional and are the portals of discovery. This entry was posted on Tuesday, June 6th, 2017 at 8:45 pm and is filed under books, editing, Ireland, language, literature, spelling, typos, writers, writing. You can follow any responses to this entry through the RSS 2.0 feed. You can leave a response, or trackback from your own site. I have just finished re-reading Nicholas Ostler’s ‘Empires of the Word’. When I first read a reference to it online, it took me a moment to realise that it was about languages and not purely about history (that is, ‘Empires of the World). Looking at the book again, I saw that the full title is ‘Empires of the Word: A language history of the world’. It’s actually about the languages of the empires of the world. Ostler’s book has been on my to-read list for a while, and more than once I’ve had to double-check whether the title contained Word or World. If you re-read it I’m guessing you enjoyed it? Ummm, no, actually – my fault, not his. I think I was expecting a more balanced overview of world languages, but he focuses on about 20 ‘big’ languages through history, from Sumerian to modern-day English (two from central/south American, one from sub-Saharan Africa, and none from North America or Australasia). My interest in Ancient Egyptian, to chose just one, ran out before his chapter did. When I said ‘re-reading’, I should have said ‘desultorily flipping through to see if I can glean something the second time before I sell/donate/throw away’. “Errors are… the portals of discovery.” This sentiment resonates quite strongly with me. It encourages one to be bold in creative situations, and not so worried about the possibility of mistake. Very freeing. In an earlier post on a particularly stealthy typo, I wrote that errors, when caught, “allow us a useful glimpse of the strange machinery within”. The same can be said of all kinds of error. I’m a professional copy editor, and each time I read Ulysses (approx eight times now) it puts me in a happy trance. Thanks for giving me a fresh taste of that happy trance. Do I have time for another reading before Bloomsday? My pleasure. It’s a tight deadline, but it’s at least theoretically possible. I know someone who read it in 24 hours, adhering (more or less) to the book’s own chronology. Well, some of us do like to read an error-free book – even if such a thing is a real rarity! I’ve been wondering for years whether the way in which streets were capitalised in that 1922 text (‘Eccles street’, etc.) was because it was printed in Paris and French does not capitalise ‘rue’. I thought I read that somewhere years ago but I could be making it up. It is more than a few lower-case ‘streets’; all road type labels (there should be a word for that) are consistently lower-case. Thoughts? I can’t remember if I’ve read something about that. Joyce himself would have insisted on the chosen style, so the European influence, if such it is, was on him and not the printers, in this case.